A man cries his eyes out. It’s nothing but tears of joy. He’s found hope at last. His self-confidence has returned. He thought hope has deserted him –gone forever. But he can now mingle, he can now smile. There are many like him (Kwaku) though with varied degree of physical deformities that had had hope restored in their lives after decades of isolation and stigmatisation. Indeed, society has got no clue. And society can also never measure the pain and the humiliation these folks have suffered and endured over the years. Other challenges made it increasingly difficult for them to access healthcare. Poverty was found to be the biggest problem says Restore. 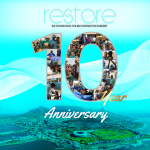 Until the RESTORE Mission from the United States of America made its way to the West African nation of Ghana at the beginning of this Fall. 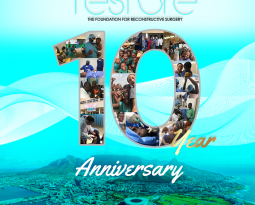 When Harvard trained board certified Beverly Hills plastic surgeon Dr. Michael K. Obeng and his RESTORE team visited Ghana last month October 2017 they restored hope to the image-battered, the ostracised and the low self-esteemed in the Ghanaian society. His non-profit organisation, RESTORE an acronym for Restoring Emotional Stability Through Outstanding Reconstructive Efforts made it to his native Ghana to change lives and restore hope. 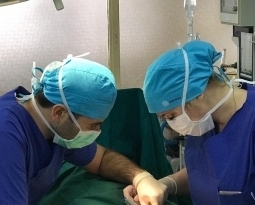 Whiles there the team provided reconstructive surgery to individuals with accidental or congenital deformities. Yes, it’s the indiscriminate nature of the disease coupled with other factors that’s compelled benevolent organisations such as Restore to commit energy, resources and time to wage an unrelenting fight against this global malady. The visit to Ghana was the team’s third in nine years. The first one was in 2008 and they returned last year- 2016 and then 2017. In 2008, Dr. Obeng and the team focused on burns, traumatic and hand injuries. They provided surgical services to women and children who had congenital breast cancer and other breast diseases in 2016. To this end I say Bravo Restore! Well done you selfless heroes for your remarkable outreach programme. 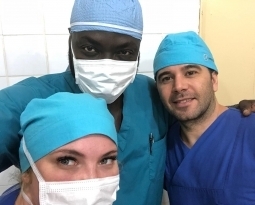 Thanks a million, Doctors Atila, West Coffee, and McClean, Schlenker and Hoyte-William and not forgetting the team’s ‘incredible’ anesthesiologist Dr. Freeman. I wish you all Godspeed in your future missions abroad: Whether in Gabon, Columbia,, El Salvador, Burma or Vietnam.